After touring the lovely homes of Palm Springs in the sunny desert of Southern California, I was amazed to see the refreshing array of bright colors, straight-line architecture and large windows. 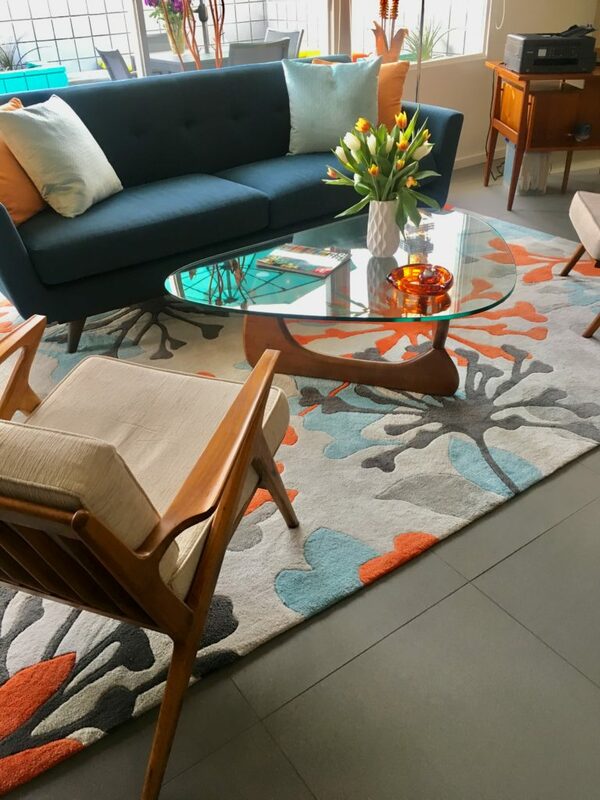 I was intrigued to learn more of this mid-century style and thought I would share with you some of the interesting history that I heard. It was around the time of 1960 when the new generation began to break away from the lingering traditions of England and other parts of the “Old Country”. The days of hierarchy, servants in the kitchen, crystal, china and silver were still around in the homes and began to be looked upon as a lifestyle that many didn’t want to indulge in anymore. The traditional styles of pinched-pleat draperies, crown molding and Queen Anne style furniture began to be abandoned to the past, as a new refreshing look to interior design and architecture began to emerge. Times had changed quite a bit, as moms were desiring to bring the whole family into the kitchen where they could be together and learn to help. Separate kitchen rooms in the back of the house began to be replaced by the “great room” concept – where the kitchen was more central and open to the living area and where family and friends felt more welcomed. A more simplistic way of living was also a part of the new times. The need for 2 or 3 sets of dishes and silverware was replaced by a minimalistic view of needing only one set of each. The fine detailed art of soft roses on china was replaced with a variety of shapes, angles and sizes as well as bright, bold, primary colors. Yes—the 1960’s was no doubt a time of searching for more answers to many things. Religion, politics, architecture and science were among many of the questions that led to so much change in our nation. This all showed up in our music, dress, architecture and interior design. I feel as though it was a refreshing time in our history and marks a great moment of change. Now – we see Modernism beginning to come back around again. The same retro furniture and bright pops of color with straight-lines is re-emerging in our industry again. Our “Millennials” are once again desiring that minimalistic lifestyle and loving the change. I encourage you to not fight it – but welcome it with open arms as a concept that could really refresh your soul. 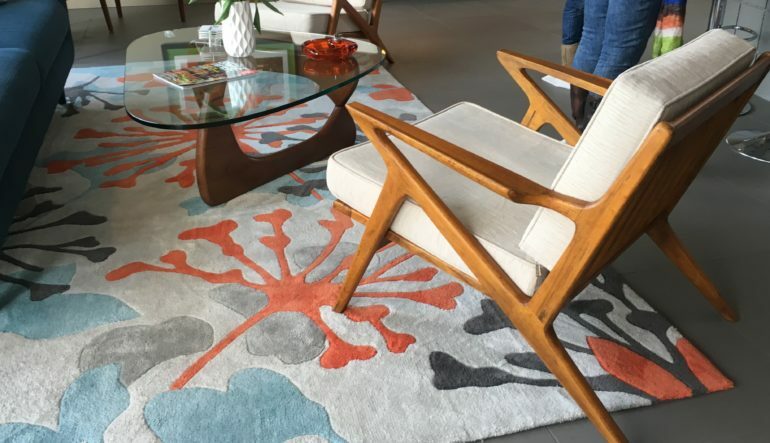 There is something light, happy and uplifting about the Mid-century Modern design that you might like! I guarantee you’ll find it rejuvenating! !